Important progresses have been achieved in the domain of European co-operation with programs such as the Galileo satellite navigation system and the A400M military transport aircraft. Obviously, none of these two programs could have been launched as a national program. They have been launched thanks to the strong political will of European partners which have established the conditions and tools necessary for the success of co-operation. These programs provide good lessons for Europe defence equipment in the future. The Commission usually provides funding for infrastructure projects proposed by the Member States, in particular in the transport domain. However, the Galileo programme is the first example of a European infrastructure project funded and managed by the Commission within the first Pillar. There is a stronger and stronger need for precise information on position and time (for networks), for civil as for military (or security) applications. The EU strategy in the domain of satellite radio navigation has been established in two steps, first with a regional complementary system to the American GPS (EGNOS – European Geostationary Navigation Overlay Service), then with a totally independent Galileo system, interoperable and compatible with the GPS. Decisions to launch these two programmes were taken in 1998 (EGNOS is fully operational since 2009) and 1999 respectively (the full development of Galileo was launched in 2004). The development of these systems has been initially co-funded by the EU (through the Commission) and by ESA (European Space Agency) Member States, the ESA acting as contracting agency. In December 2007 the EU decided to launch and fund the full deployment of Galileo, the European Commission being in charge of the management of the program and the ESA covering the technical and planning aspects of the programme and acting as contracting agency through rules defined by the EU. The rules are defined by the Regulation (EC) No 683/2008 of the European Parliament and the Council of 9 July 2008 on the further implementation of the European satellite navigation programmes (EGNOS and Galileo). 1. The Community’s public procurement rules, in particular open access and fair competition throughout the industrial supply chain, tendering on the basis of the provision of transparent and timely information, clear communication of the applicable procurement rules, selection criteria and any other relevant information allowing a level-playing field for all potential bidders, shall apply to the deployment phase of the Galileo programme without prejudice to measures required to protect the essential interests of the security of the European Union or public security or to comply with European Union export control requirements. well as industrial experience and competence, including that acquired in the definition and development and validation phases of the programmes, while ensuring that the rules on competitive tendering are not prejudiced. (d) dual sourcing shall be pursued wherever appropriate in order to ensure better overall control of the programme, its costs and schedule. In accordance with article 18 of the regulation, which specifies the role of ESA as Prime contractor and contracting agent for the main subcontractors, the EU and ESA have concluded a multi-annual delegation agreement which covers the technical and planning aspects of the programmes, defines the general conditions governing the management of funds entrusted to ESA and allows the Commission, as representative of the Community, to exercise fully its management, monitoring and inspection power. Since then, these rules have been successfully implemented by ESA under the control of the Commission. The deployment of the constellation, which will include 30 satellites in total, has started in 2014. The Galileo system should become operational in 2018. When it is fully deployed, the European Union will possess its own satellite radio navigation system, fully operational all over the world with a better coverage of the globe than the GPS, with a good reliability and precision, robust and interoperable with the American system GPS and compatible with the Russian system GLONASS. Galileo will be the first European large infrastructure and will guarantee the autonomy of Europe in the strategic domain of radio navigation, not only for transports and navigation, but also in many domains which today are fully dependent on the GPS time (banks, energy, welfare, telecommunications…), including for security and defence needs. All this means that the general EU rule of free competition can be adjusted and framed for specific programmes when EU Member States have the willingness and agree to implement adapted rules for strategic reasons. Similar principles could be applied for EU military projects in the future. Launched with a great enthusiasm in May 2003 as a model for the European co-operation, the A400M program has suffered a major crisis in the years 2008-2010, from which it has recovered with a stronger organization and a more realistic schedule. This crisis has confirmed that the Program Participating States and industry wish to continue on the long term a federative project for Europe in the defence domain. After a long preparation in the years 1980-1990, the signature of the Common staff requirements (considered as realistic) by 8 nations in 1997, a competition with other solutions and a long negotiation with Airbus Military, the program was launched in May 2003 by 7 nations (Belgium, acting also for Luxembourg, France, Germany, Spain, Turkey and United Kingdom) and entrusted to OCCAR (Organisation conjointe de coopération en matière d’armement), in charge of the management of the program and the relationship with industry (as contracting agency) on behalf of the Participating States. The programme breaks new ground in European collaborative procurement with the adoption of a more commercial approach towards its acquisition and support, a unique contract for the development and production (initially 180 Aircraft, now 170 after signature of a contract amendment in April 2011), including initial support, with a unique Prime (Airbus Military) and competitive tendering for the choice of subsystems within clear boundaries and principles established in the contract and controlled by OCCAR through a specific Airbus Military reporting. The objective of the rules governing these competitions was at the same time to take benefit of the existing industrial competences in the Participating States whenever they could be competitive and to protect the essential security interests and export control requirements of the Participating States. The first prototype flew for the first time in December 2009, the Civil certification was obtained in March 2013, Type acceptance in July 2013, and the first production Aircraft was delivered to France in August 2013. 400M French Aircraft have already been used in operations (logistic missions) through the European Air Transport Command and demonstrated the high qualities of the A400M which is expected to fully respond to the forces requirements. A common support for the Nations has started. The difficulties met in the years 2008-2010 have been solved through a contract amendment signed in April 2011 which has established a new delivery schedule and a better control of Airbus achievements through an improved reporting to OCCAR (and consequently to the Participating States). However, in spite of those difficulties, this programme is undoubtedly a big success of European co-operation: it demonstrates the benefits of multilateral co-operation for large investment projects (especially with high development costs) and the efficiency of the OCCAR tool which has been established in 2001 by 4 Nations precisely with a view to establishing a model for the management of collaborative programmes, more efficient and effective than the traditional co-operation models. The context of European Defence Procurement is complex, in particular because of the very high number of actors who have a role to play in the overall process. First of all, the nations are key players, especially for intergovernmental organisations such as OCCAR. NATO has a structure of Agencies that have been dealing with defence procurement for quite a long time for some European Nations, ranging from R&D to Logistic Support. At the European level, the European institutions have recently increased their involvement in Security and Defence, the European Defence Agency and also the European Commission considering the importance of the market. Since the beginning of NATO and the start of the European Community, there has been a growth of cooperation initiatives, supranational and intergovernmental, first in the frame of NATO and later within the Western European Union. After 1989, the changing strategic and political landscape, the advances in technology and decreasing budgets pushed the European Nations towards the rationalisation of the European industrial base and a more efficient and effective defence cooperation in Europe. Within this environment, OCCAR was created by 4 Nations in 2001 (Convention signed by France, Germany, Italy and the United Kingdom in September 1998 and ratified in January 2001) and, within the impetus provided by the preparation of the European Constitution, a European Security Strategy was defined and the European Defence Agency (EDA) was established in 2004 (Joint Action).  making procedures for the granting of contracts more effective.  promotion of activities aimed at leadership in strategic technologies. “The Agency should develop close working relations with existing arrangements, groupings and organisations such as Letter of Intent (LoI), Organisation Conjointe de Coopération en matière d’Armement (OCCAR) and Western Armaments Group (WEAG)/Western European Armaments Organisation (WEAO), with a view to assimilation or incorporation of relevant principles and practices as appropriate”. The relationship between EDA and OCCAR has been formalised through a technical arrangement signed in July 2012 by EDA and OCCAR and a security agreement between EU and OCCAR. The general idea about this relationship between EDA and OCCAR is that EDA is upstream, facilitating the decision process to launch a programme, and that OCCAR is downstream, conducting the management of the programme on behalf of the Participating States or on behalf of EDA itself if the programme budget is provided by EDA (this possibility is considered in the OCCAR Convention and in the Technical Arrangement between EDA and OCCAR). A well-structured interface and transition process for the transfer of programmes between the two organisations has been defined. 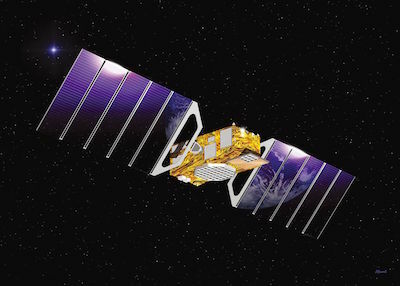 The Galileo and A400M programmes successfully and concretely contribute to the equipment of Europe in the domain of security and defence, the former as a civil programme managed by the European Commission with the support of ESA, and the latter as a military programme managed by OCCAR on behalf of 7 Participating States. Both programmes have required a strong political will of European partners which have put in place the conditions and tools necessary for the success of co-operation. The lessons learnt from these programmes can be used for the future, in particular for the equipment of Europe in the domain of security and defence: harmonization of the requirements at the right level, establishment of specific procurement principles using competition within clear limits, use of strong management organizations which already exist on the institutional side such as OCCAR (for defence and security projects) or ESA (for civil space projects).